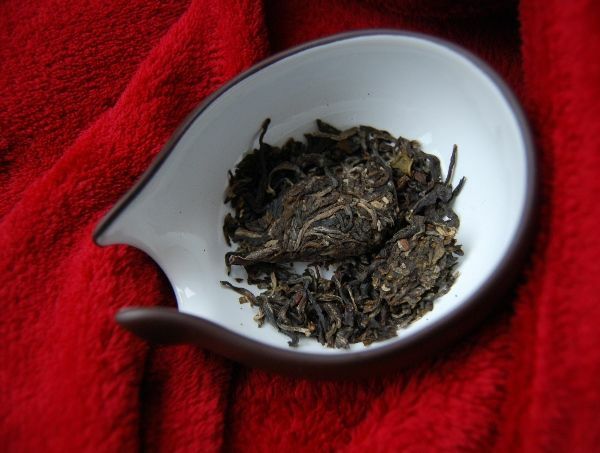 The Half-Dipper: 2009 Douji "Xiangdou"
Some teas refuse to go quietly into the night. I fought long and hard with this tea, and left the tea-table victorious, but only just. I am a slave to Douji. They could sell cardboard in circular shapes, wrap it up in an old-style wrapper, and I'd probably buy it. So, you can get some idea of the howlingly bad awfulness of this cake when I tell you that I didn't enjoy it whatsoever. Douji do a lovely job in selling either (i) very nice single-mountain tea, which seem to be very decent representations of the mountains from which they claim to be produced, and (ii) cheap-and-very-cheerful little bricks, which are often creamy, sweet, and highly enjoyable. The latter, such as their "Shangdou" and "Dadou" recipes [upper-Douji and big-Douji, respectively], have also come out as full cake productions of late. 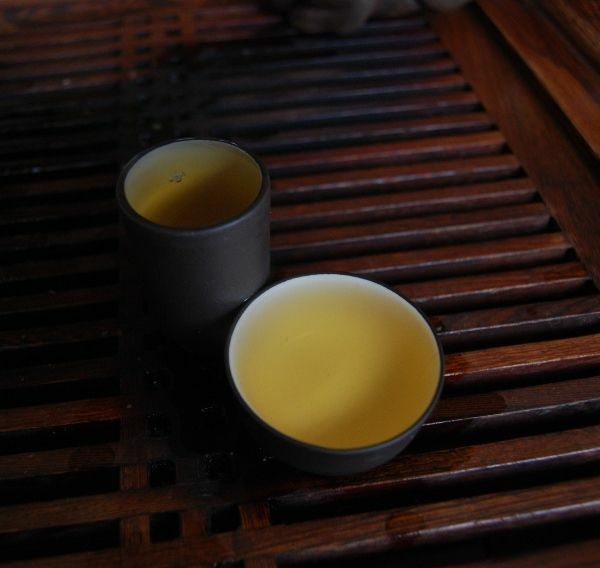 I've never tried "Xiangdou" [fragrant Douji] until now - thanks to my Viking friend, Terje, for the introduction. From its opening to its conclusion, it is uncompromisingly nasty. It isn't the gruff, butch, take-me-or-leave-me uncompromising nature of, say, the benchmark Dayi recipies. 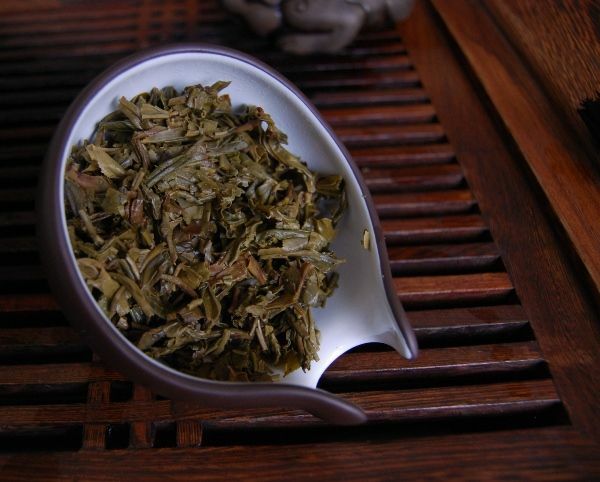 This is the tough, unpleasant, rude, acidic, sour nature of a plantation tea that is pure, unadulterated roughness. It hurts to swallow it. It burns the throat. It wrinkles the lips and feels like the Zen koan "swallowing a hot iron ball". It's entirely, wonderfully, unashamedly rotten. If you like sucking low-grade battery acid from the unshaven armpits of French women, who have spent the previous five hours perspiring over epoisses and foie gras, then this is the tea for you. How funny! Some time ago Terje had sent me some samples (bless him) one of which was a sheng made by Yong De. By far the nastiest tea I have ever had in my life. Tasted like burning rubber with fruit. I acused him of trying to kill me. Terje, your a kind soul but you have got to stop sending poison in the mail. But to be fair, Terje has also sent me some of the best aged tea Ive had the pleasure to try, but I never found out what it was. "If you like sucking low-grade battery acid from the unshaven armpits of French women, who have spent the previous five hours perspiring over epoisses and foie gras, then this is the tea for you." Terje has sent me some great tea - if we are to be held accountable for sending others dodgy tea, then I am surely to blame! Somethings seems odd about the cup picture - I would expect either the aroma cup or the drinking cup to be empty -? By the way, are those 20 ml or 40 ml? I myself have the 20 ml of them, but the size seems to make the taste very light, even though the aroma comes out nicely. Where did you get the presentation bowl? I have never seen you give a tea a review this bad before. Now I will be sure to try it! I will also give it to my club members to practice brewing with. I am sure that will be infuriating, and entertaining. You had me all the way up to foie gras. Like most of my surviving pieces of teaware (a set which is becoming ever-smaller), my "chahe" has a name and a story. Its name is "Lesseps", named after my kindly teachum (and CEO of the Davelcorp Foundation) who bought it for me in distant San Francisco. I honestly have no idea what volume of fluid the cups hold - it's not very much, though. I would estimate 20 ml, given that I get around 4-6 cups from a 120cl pot! I think I am ok with this tea but will not buy it unless I get another sample to taste again later. It is bitter to some degree, but then has quite prominent sweet aftertaste. The aroma after each sip seems very nice to me. But overall I feel this tea is quite harsh to stomach (I have a relatively weaker stomach). I am somewhat puzzled by the tea liquor. It does have some smooth, soupy texture. But the tea liquor in my cup is not clear at all, even a little swampy. I don't know if it's because I got too many crushed leaves in the sample. 2003 Changtai - Qianjiafeng "Jinzhushan"
2009 Changtai - "Jingpin Banzhang"
2004 CNNP - Jixing "Yuechen Yuexiang"
2005 Changtai - Qianjiafeng "Jinzhushan"